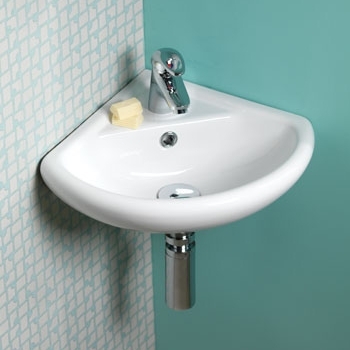 As with Cloakroom Basins, a Corner Basin allows for fantastic space saving in small areas such as en-suites and downstairs toilets in limited spaces. 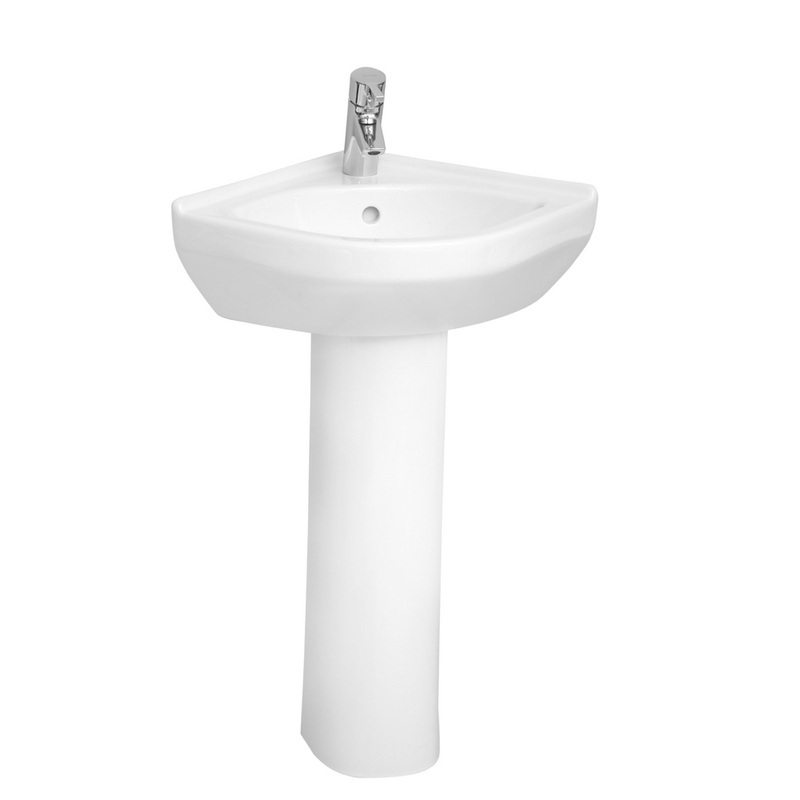 They are also available with traditional pedestal mounts for bathrooms where space will be freed up. This Vitra S50 40cm Corner Washbasin with Full Pedestal allows for space saving plus the traditional look and design of a more familiar bathroom fixture. 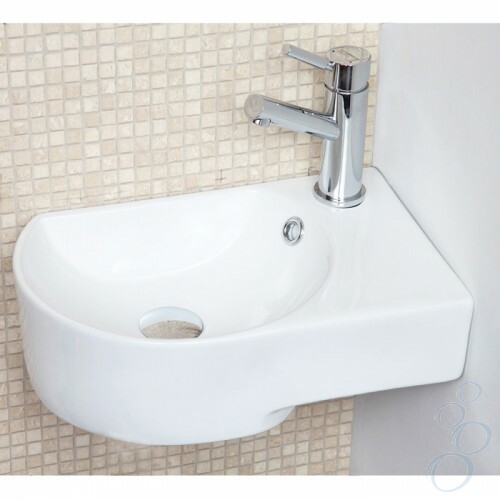 Aerial Corner Basin at £59 is space and cash saving. More practically, it's neat and simple design allows for a small pace like the underneath of the stairs, to be turned into a donstairs cloakroom. 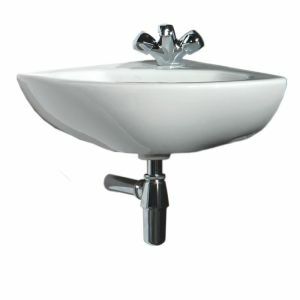 The Albury corner basin is typical of most modern versions which allow you to choose either left or right handed. The most basic designs provide an cost effective option for space saving.